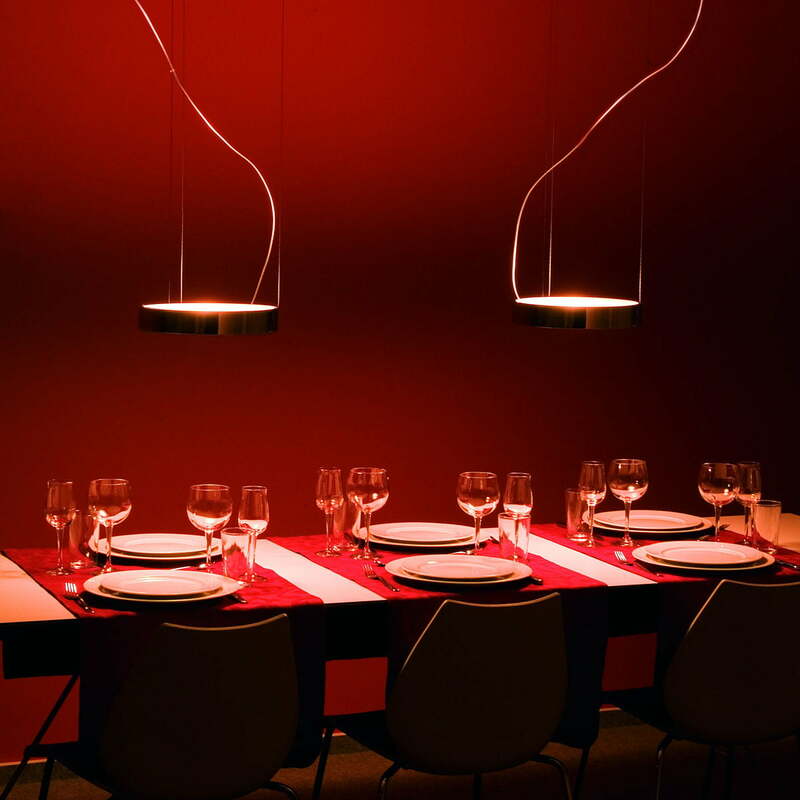 Simple elegance and high-quality materials characterise the new light “Aluring“ by Michael Rösing. 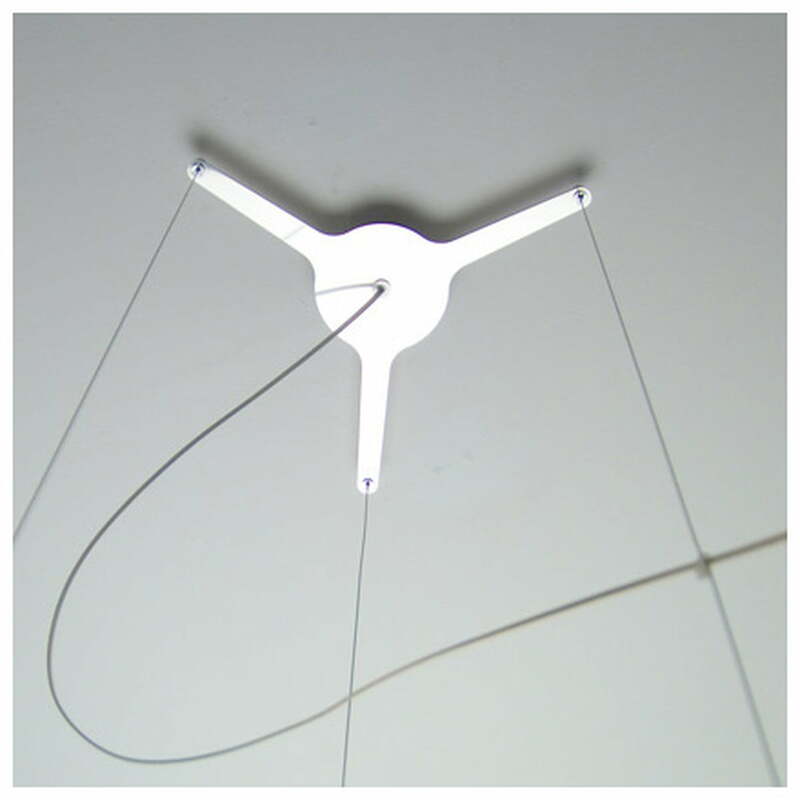 Due to its adjustable attachment the light can be hung up in rooms with a ceiling height of up to 3.8m. The light has a diameter of 300mm and is chromed. Please take a look at the small version as well: Absolut Light Aluring 109mm. 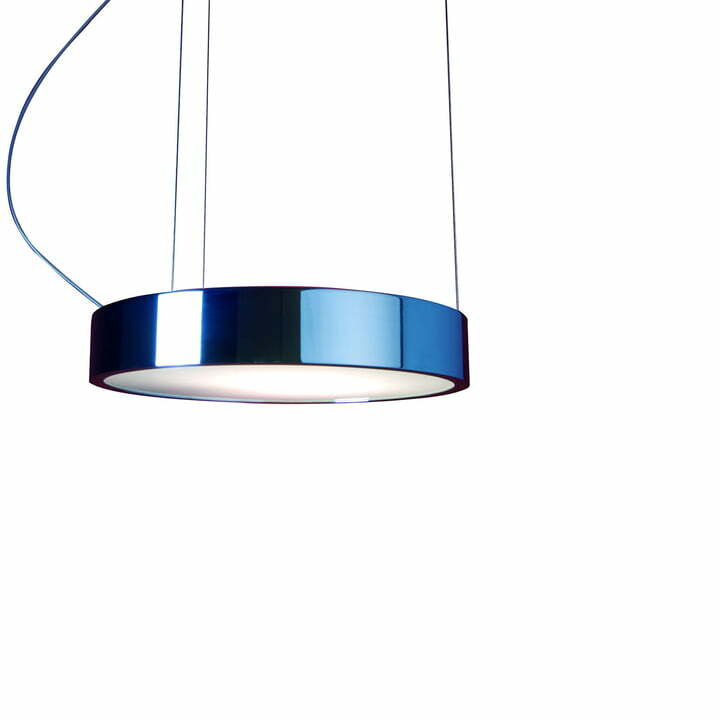 An anodised edition, combination of 3, as well as the lamp with a single suspension (transformer and fixing have separate mountings) are also available.